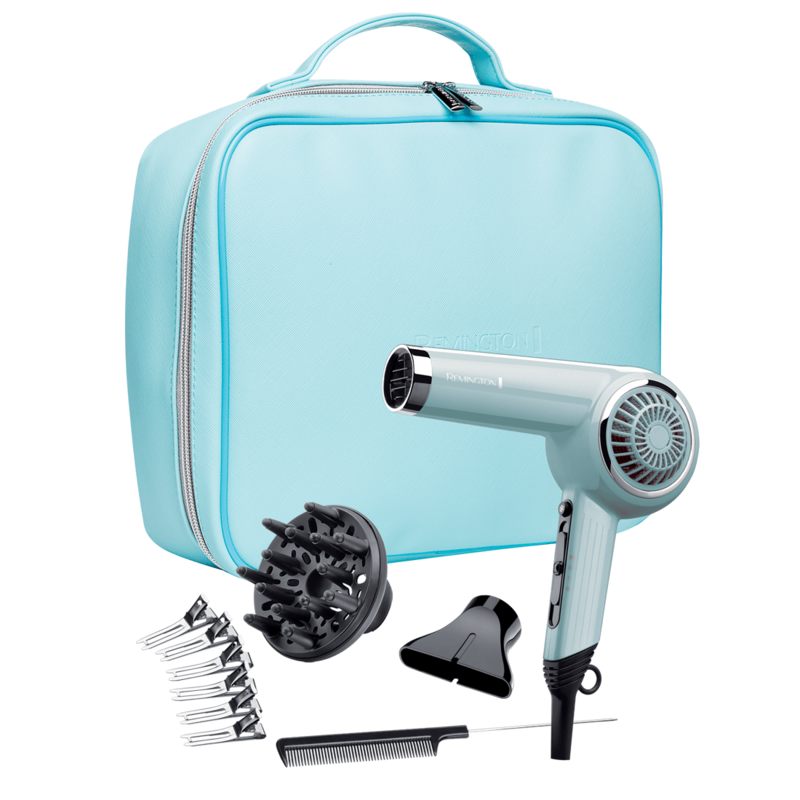 Retro Dryer in Bombshell Blue is the perfect blend of retro styling and powerful, modern technology. 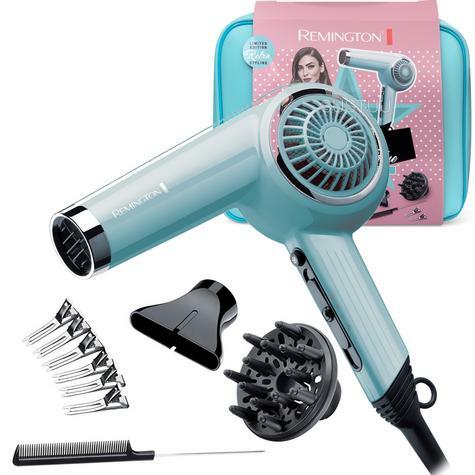 Blurring the lines between fashion and practicality, old school luxury has fused with modern technology to create a hair dryer that is perfect for style-conscious fashionistas looking to dress up their daily dose of vintage. 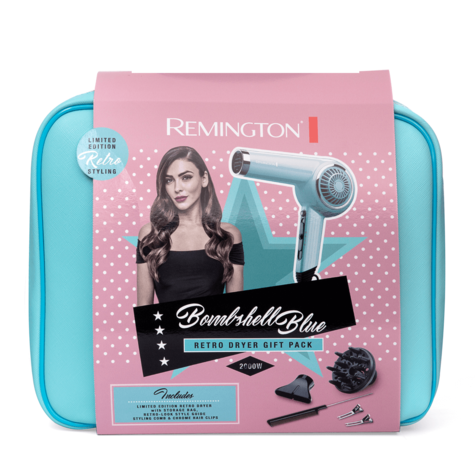 Whether it be fifties swing dresses set with smooth, up-swept rolls or retro swimsuits and baby bangs, old-school retro oozes cool and we’re oh so in love with the 50’s revival. 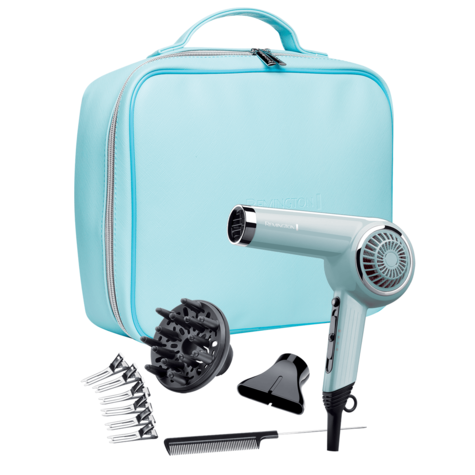 Our Retro Dryer in Bombshell Blue is the perfect blend of retro styling and powerful, modern technology. 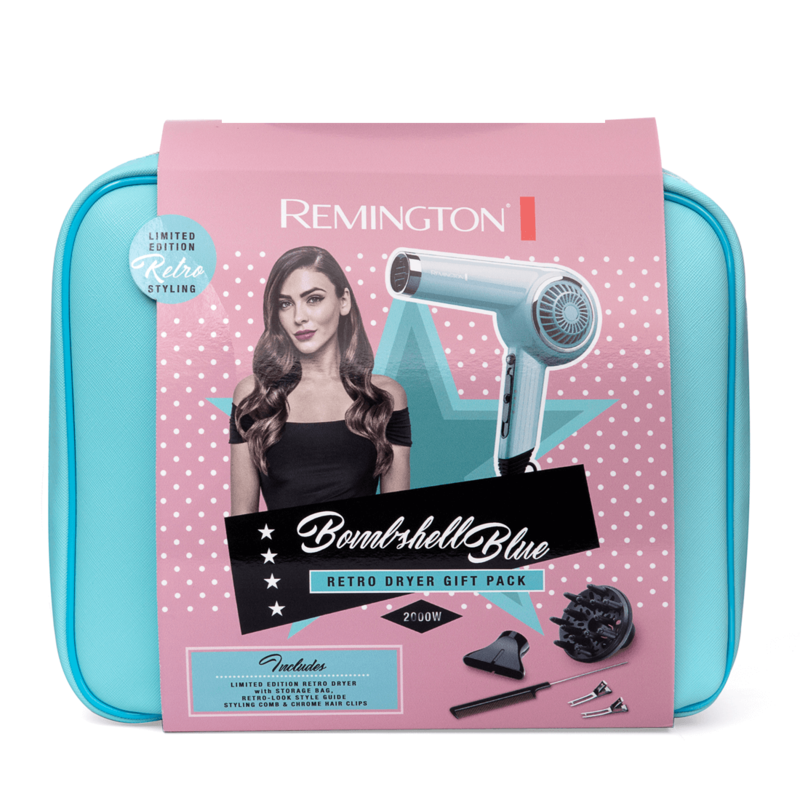 Plus, with a step-by-step styling guide, styling comb and chrome clips included for creating retro curls it’s easier than ever to create the perfect hair style. 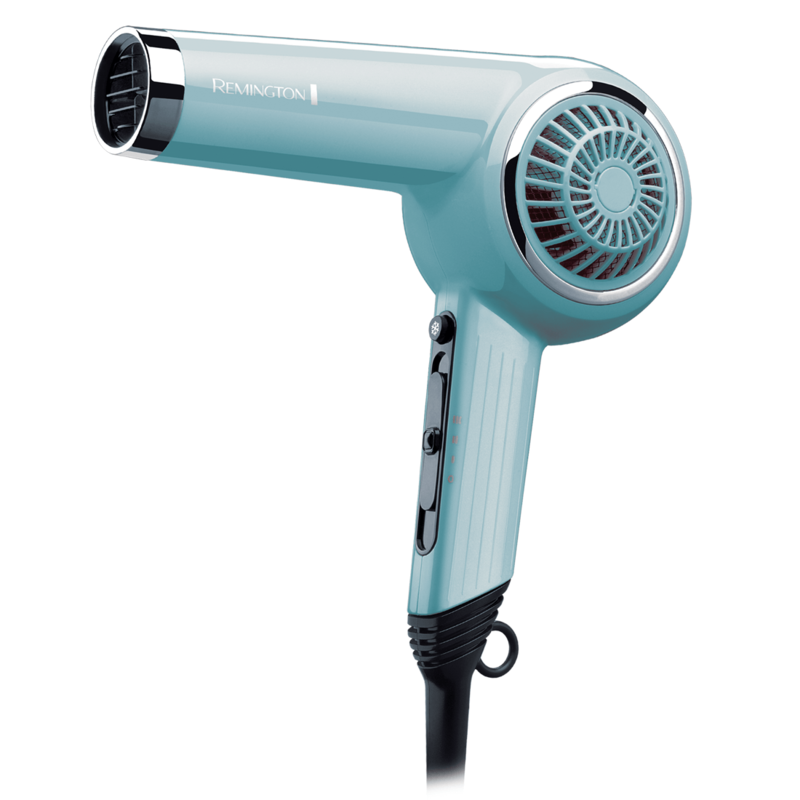 Create 50’s waves by using a round brush and the concentrator on your Retro Hair Dryer to smooth your hair. 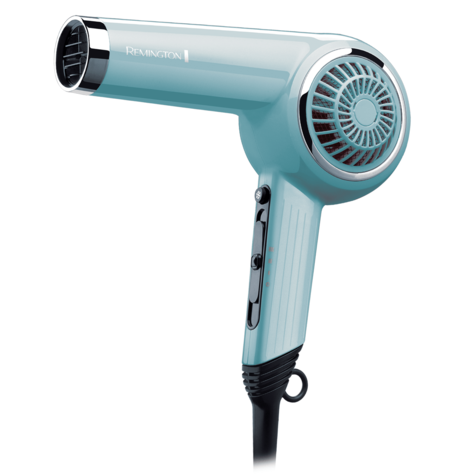 Once the section of hair is feeling dry, use your brush to twist the hair around in the direction you want the wave curl to go in. Gently pull the brush out leaving the section twisted and set with your favourite spray!